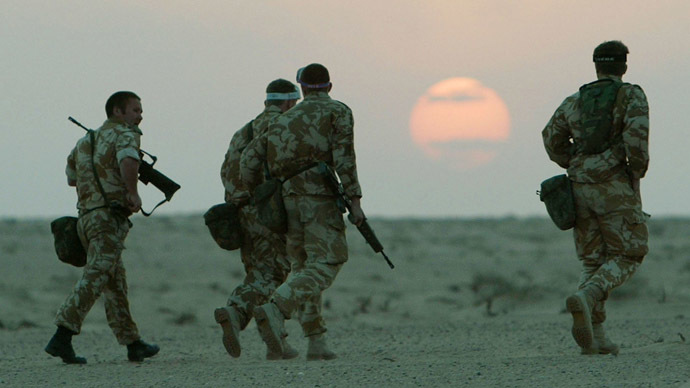 Debate on foreign policy and the legacy of UK involvement in war and occupation has become the elephant in the room during the general election campaign, according to the Stop the War coalition. In an essay by coalition convener Lindsey German, published on the Stop the War website, the group sketches an “anti-war manifesto” for the future. Apart from limited debate about the prospect of Trident nuclear weapons renewal, the UK’s military policy overseas has not been adequately debated by politicians or public, German argues. “The failure of the British establishment to even publish the findings of the Chilcot inquiry could be held up as representative of the failings of this consensus foreign policy,” say German. The coalition warns the dots are not being connected to inform more sensible policies in future. The manifesto also argues that anti-war and anti-militarist politics resonate with the broader public, a reality to which politicians would be wise to pay heed. The debate on the UK’s nuclear deterrent, while not far-reaching enough according to the coalition, shows the way forward for political parties desperate for popularity. The details of the manifesto include arguments for an end to arms trading with Saudi Arabia, the scrapping of Trident and the withdrawal of British troops and aircraft from the various global theatres of war to which they are currently deployed.